The possibility of Brexit is creating demand for comparative analysis. United Kingdom farming, which has significant government and EU intervention is being compared with that in New Zealand, which is subsidy-free. This Craigmore Commentary is based on a talk given at a UK Parliamentary dinner on this topic, last week. I begin by acknowledging similarities and discuss aspects of UK (and European) farming I believe may be ahead of New Zealand. I then explore areas where NZ farming is particularly strong. I finish with thoughts on how UK / NZ farming might play to their strengths. 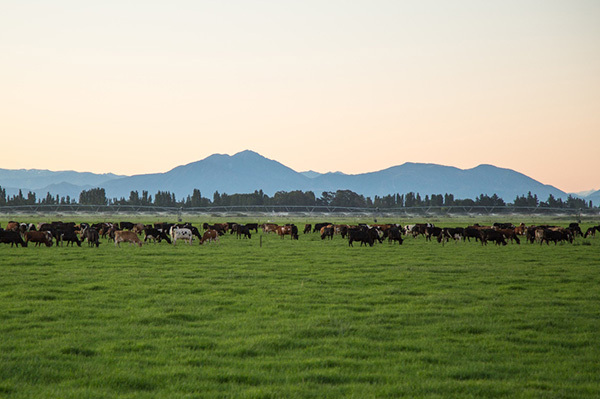 NZ and UK farming are each endowed with excellent soils, maritime climates and broadly similar farmland resources – although NZ produces a wider range of produce extending as it does from almost sub-arctic to sub-tropical latitudes. Both produce premium quality foods for demanding middle class consumers. The UK primarily for its domestic market. NZ on the other hand to middle class consumers across Asia, Europe, America and Middle East. Both countries are developing environmental strategies for their land use sectors. In the UK this builds on the Environmental Stewardship Pillar of the EU CAP – which provides a base from which new proposed environmental services payments can be extended if Brexit takes place (something not looking quite as likely today as it did when I made my speech in Parliament last Monday). Irrespective of the Brexit morass the UK’s farming and food industry is showing impressive environmental ambitions. At the Oxford Farming Conference earlier this month Minette Batters, President of the NFU, outlined plans for UK farmers to achieve net zero greenhouse gas emissions by 2040 or earlier “to stay ahead of the competition in the global food and agriculture market”. NZ’s not dissimilar environmental measures have their origins in NZ’s efforts to really be that “clean green” country leading the world in greenhouse gas, water, and management of biodiversity. NZ takes our Paris commitments seriously. We’ve committed to establish an average of 100 m new trees per annum over 10 years. 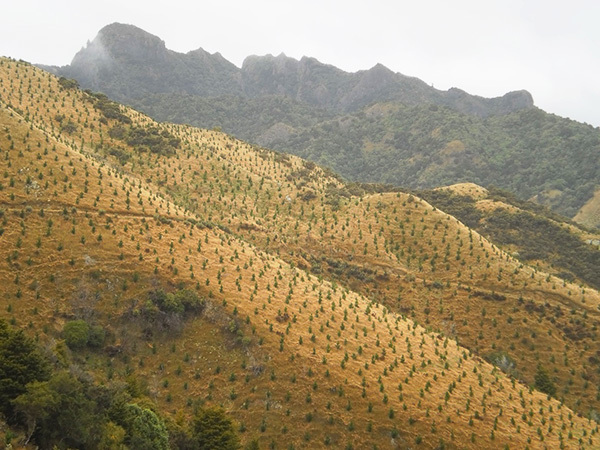 Assuming half on degraded land this will be a gain of 500,000 hectares in the NZ forest estate. Craigmore Sustainables has a major focus on forestry and hopes to contribute over 50,000 hectares to that afforestation. NZ, like the EU, has decided not to release GM into our food production sector. Our customers simply do not want GM food. NZ farming, though strongly science-based and innovative, is ultimately market-led so we decided not to grow something our customers do not want. More generally both countries are addressing the “de-commoditisation” of a sector that used to produce “commodity food” but is moving to “healthful nutrition”. In the widest sense including environmental health. One area in which, in my view, UK and EU agriculture may be well ahead of NZ is in the process of linking farms to retailers and consumers. Unlike NZ, where farm-to-supermarket information flows are only satisfactory (many consumers are far away overseas), the UK has built over the past 20 years a world-class infrastructure of commercial and information links between farms and retailers. E.g. approximately 60% of UK dairy farms have long term, fixed price off-take agreements for their milk from retailers. An impressive achievement. As I am only too aware all NZ dairy farmers are exposed to the full volatility of the global milk market. NZ prices have ranged from 16 pence to 45 pence while most UK dairy farms received a steady 29 pence per litre. Similar arrangements have emerged in UK beef, pork, chicken and fresh produce. These “aligned contract” relationships are not about just price, but embrace quality, security of supply, animal welfare and other values. Another area of strength for British farmers’ is their positive relationship with the public. 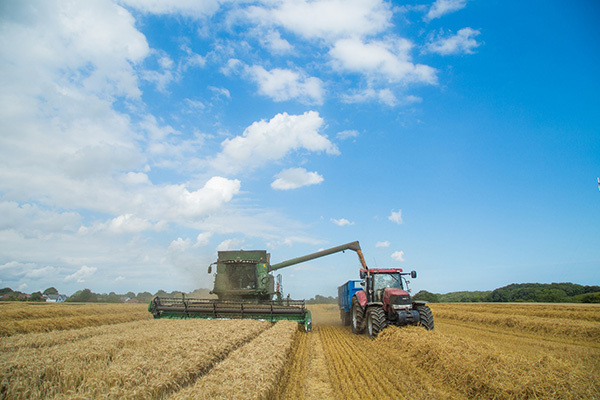 Perhaps because of public access to privately held farmland, taxpayers and consumers in the UK are generally supportive of their farmers and growers. Politicians on all sides in the UK are indicating that a large part of the current £3.2 bn of annual farm support payments are likely to continue, at least in some form. This is a remarkable illustration of how highly the United Kingdom values its farmers and landscape. New Zealand, as is well known, does not subsidise its farmers. Further, attitudes of the public and government shifted in the past 20 years so that, currently, NZ farming is not as esteemed as it once was in the eyes of the public. One reason for this is behaviour of some NZ farms lagged in terms of especially nutrient pollution of rivers and streams. (Fortunately this is now being addressed by catchment-based farm nutrient loss management programs which recently lifted river water quality in Canterbury. However the NZ farming sector still has a way to go to fully regain the trust and support of our public). NZ farm productivity gains, in 30 years since the removal of subsidies, have been spectacular. E.g. 66% reduction in the number of sheep is now producing the same amount of meat from 23% less land with a 40% reduction in GHG emissions per kg of lamb. Between 1990 and 2010 NZ farmers transformed large amounts of land from grazing/arable to more intensive dairy farming – increasing per hectare revenues by 4 x. And jobs/ha by the same amount. This innovation was the leading reason for the revitalisation of rural towns after a slump in the rural economy after 1985. More recently land has come out of dairy and into horticulture, a still higher value land use, typically increasing revenues per hectare (and employment) by 8 x – however this after a 4-year delay for conversion. Craigmore Sustainables estimate another $5 to 10 bn of necessary investment will take place to fully build out the NZ horticultural opportunity. It is worth noting that export sales from NZ horticulture have grown by 7% per annum for over two decades. Compared to this level of innovation, although there have been some honourable exceptions, mainstream British farming e.g. cereals has not seen significant improvements in yields per hectare and factor productivity. It is hard not to conclude that the uptake of innovation in the EU, including in the UK, has been curtailed by subsidies. As an amateur economist I cannot resist mentioning, as well, that economic policies that allow property owners to borrow money at 1% are also not great for innovation. They prop up the already wealthy and goose up asset prices, so that new entrants cannot innovate. It has not escaped Michael Gove’s notice that subsidies make European and UK agriculture school tests that nobody fails. It maybe it is no accident he was brought from education to agriculture! 4. What happened in the NZ restructure? NZ discovered very suddenly that it was unable to subsidise the most important sector of its economy. As a result, subsidies were all removed at the same time. Despite predictions that 20% of farmers would have to go only 1% of NZ farms entered receivership – although another 4% chose to go (sold their farms voluntarily) over the next five years. In general, environmental outcomes improved as a result. My father led NZ Federated Farmers for six years in the 80’s – negotiating the de-regulation and the end to subsidies. One of the positive achievements was that e.g. fertiliser use on average fell by 30% whereas farm production only fell by 10%. Farmers believe we are “born” to grow more crops and livestock. We will happily do this even on marginal land, given the resource. Subsidies therefore almost always lead to over-intensification of land-use. Removal of subsidies helps farms focus on what soils and landscapes really should be farmed, and which should be used less intensively or not at all. It appears the UK’s restructuring, in contrast to that in NZ, will be gradual and mixed. The proposed approach if well implemented, appears broadly logical and attractive. In my view, like renewable energy, the proposed environmental services strategy is a tremendous commercial opportunity for farmers especially hill farmers and smaller operators. In my view – and my wife and I do own a small Oxfordshire organic farm – it is privilege to farm in a country where farms can get taxpayer money to do things that many of us, in countries like NZ, seek to do anyway on our farms but without the benefit of government support. I see major commercial and ethical opportunities for both NZ and the UK to export farm and food and environmental technology and standards to the world. Specifically, I see the imposition of standards on imported food as a powerful way to promote UK exports of these tools and services as well as to lift food quality and environmental standards. This strategy will “play to” an area where the UK is well ahead of NZ and in my view is world-leading. That is in the sharing by UK retailers of standards and other measures to link farmers and growers with these “representatives of the consumer”.